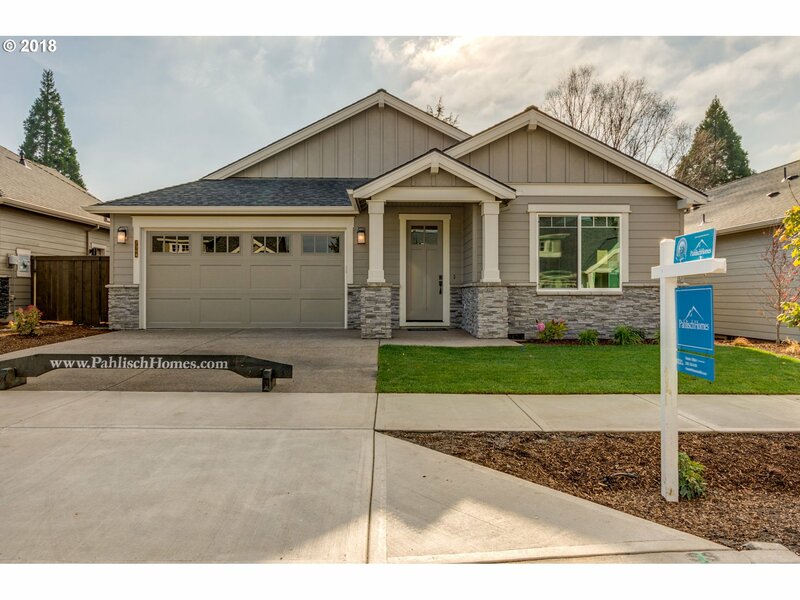 All Wilsonville homes currently listed for sale in Wilsonville as of 04/19/2019 are shown below. You can change the search criteria at any time by pressing the 'Change Search' button below. "Coveted one-level view estate in the Quarry at Stafford. This Frank Lloyd Wright inspired design sits on 5.8 acres and opens to the grounds. Grand spaces and abundance of woodwork and stone fireplaces relax the interior aesthetic. Private master retreat has a fireside sitting room and workout room with a sauna. The bedroom wing has 3 full baths and an upper-level game room. Includes a guest house. Timeless design." 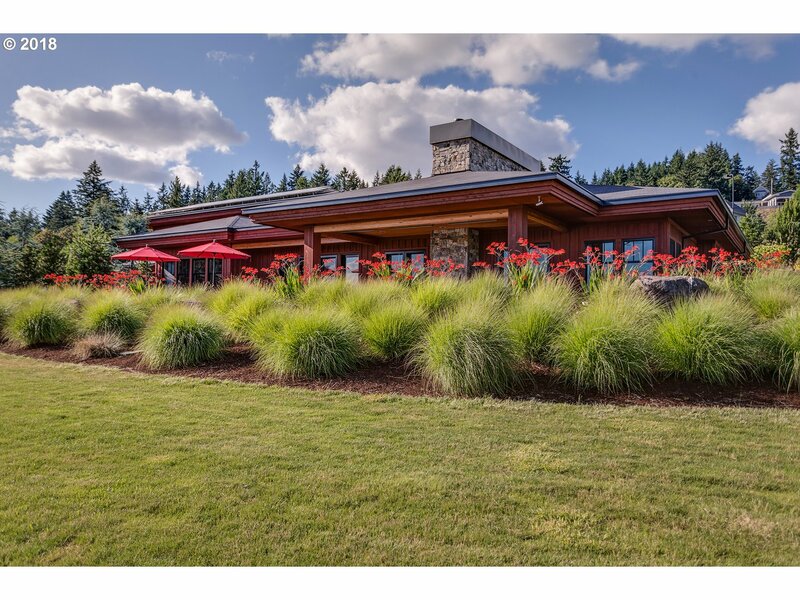 "Custom Modern Farmhouse on 2 Acres in Stafford/Wilsonville. 20' ceilings, ideal for entertaining. Spacious kitchen w/quartz counters, custom cabinetry, island, pantry & professional SS gas appl. Great room w/frplc & built ins, folding slider to covered patio w/frplc, BBQ & fridge. Mstr suite w/soaking tub, double sinks & large walk-in closet. Guest Suite+5th bdrm/bonus & loft. Southern Exposure & Views. Close access to I-5 & shopping." "One level living at its best is the hallmark of this exceptional gated Stafford estate. Custom built w/premiere quality,this stunning home offers light-filled rooms & pastoral views at every turn of the elaborately landscaped sunny flat grounds. 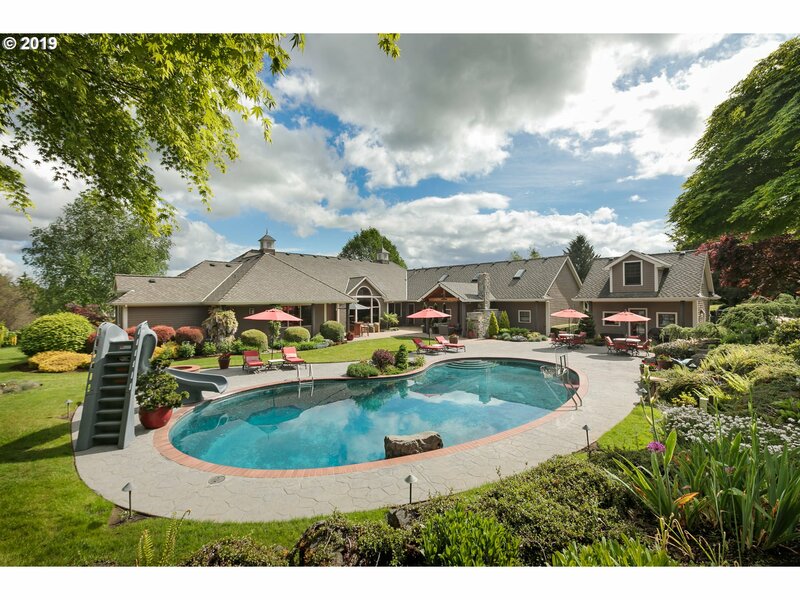 Outdoor entertainment mecca features pool,spa,covered pavilion w/fireplace,pond w/fountain & more.Close-in country setting just minutes to gourmet markets, restaurants & shopping & quick to PDX." 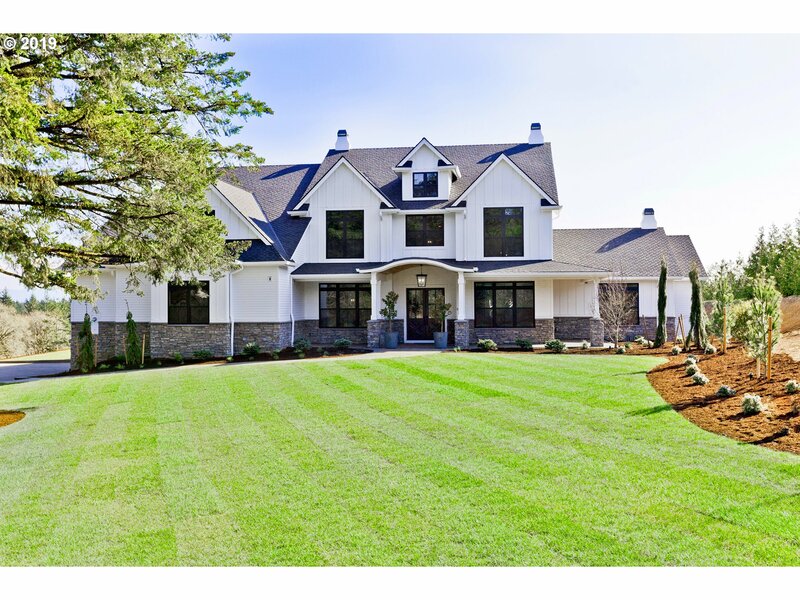 "Forever Estate designed in 2012 this beautiful and impeccably built 4,840 sq. 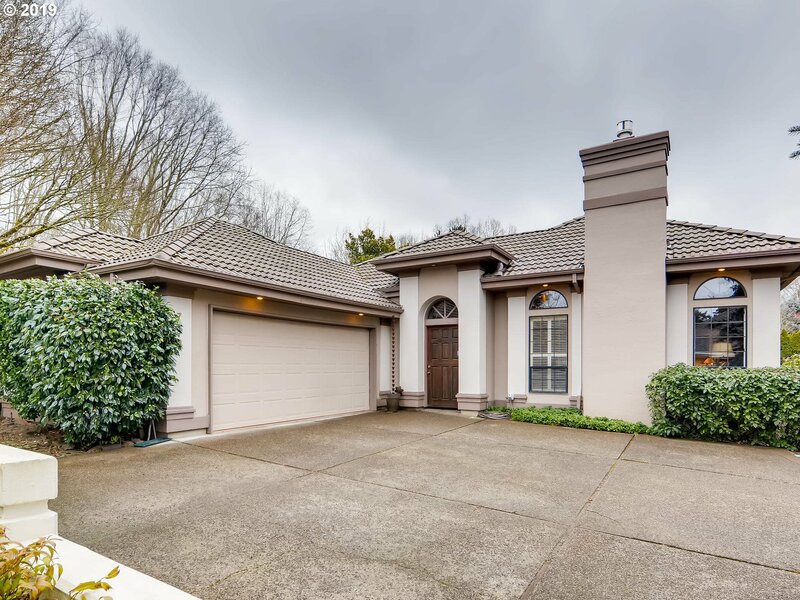 ft. Prairie-style home on 4.64 exceptionally landscaped, mountain view acres in the Stafford/Wilsonville area is an opportunity not to miss. Solid cedar board&batten exterior and huge stone central wall, T&G maple floors, slab carrera marble. Small energy footprint, 4 bdrms & 4 bths. Level slate patios, outdoor frplc., large waterfall feature & much more!" "A rare find! 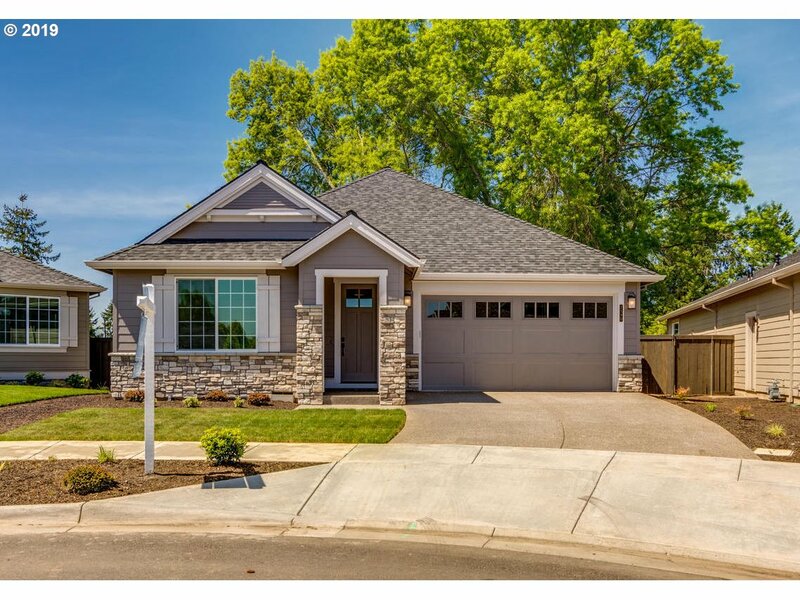 Custom elegance within the heart of Wilsonville. Expansive great room with vaulted ceilings, custom fixtures, hdwd floors, gas fireplace and dual decks. Quartz counters throughout with state of the art appliances and oversized island in kitchen. Master suite on the main boasts elegant entry, private deck and massive walk in closet. Large office on main with bonus tech area, massive family room and three bedrooms down." "Over 5 acre, secluded lot on dead-end road, boasting grapes, fruit trees, and vibrant flowers. Huge 2-story living room w/stunning fireplace, wall of windows and slider to deck. Spacious master w/slider to upper deck, soaking tub, dual sinks, walk-in shower and closet. Finished daylight wet bar, eating area, family room, 2nd MSTR, 5th BDRM and exterior door. Country setting near shops, restaurants, entertainment, schools and hospital." "Awesome 9.24-acre parcel on the WILLAMETTE River with dock. Create your own marvelous Life Style Estate. 3 bdrm, 2 bath manufactured home and 2400 sq.ft. 3-bay shop. Willamette Greenway Conservation and Replacement permit APPROVED by Clackamas County. House plans included in sale." "Fabulous resort style home on Willamette River! Spiral cherry staircase makes a stunning first impression! Beautiful woodwork throughout. Waterfalls, ponds, outdoor entertaining. Library Loft, Lg. master suite w/frplc, 3 walk-in closets, sitting area, & 2 balconies. Views of river, golf course & courtyard from almost every room. 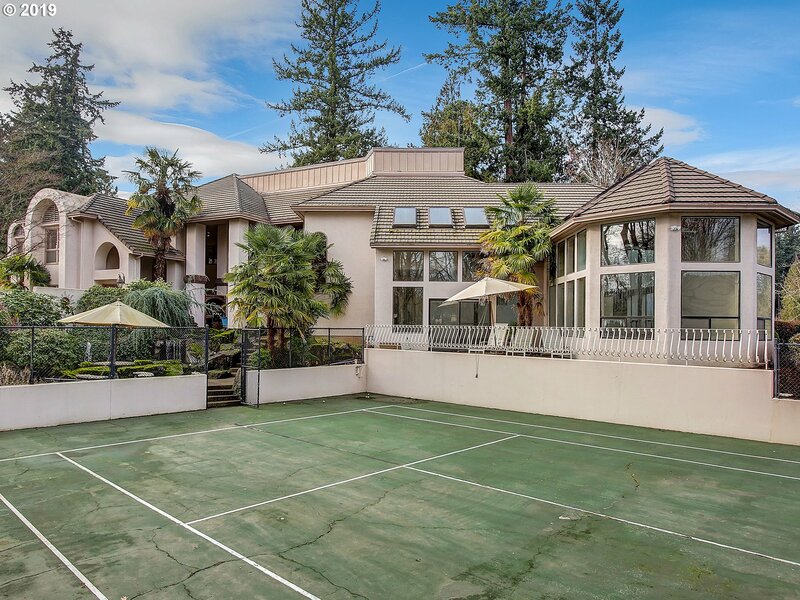 Tennis court, indoor pool, sauna & gym space. Owner licensed realtor in OR&WA. Just passed siding inspection." "Street of dreams award winning builder, presents the Whitney plan at Charbonneau! TRUE One level living! Tall ceilings w/ coffer great room, kitchen & dining w/ island, corner pantry, s/s gas appliances, hardwood floors & quartz counters thru-out. Coffered master suite w/ walk-in closet, walk in tile shower & 2 add'l bedrooms. Covered patio & 2 car garage w/ golf cart bay. Photos and tour of similar home. Model open Thur-M 12-4pm." "Villebois Estate home offering one of a kind living including main floor guest suite. 5 Bed & 3.5 bath plus huge bonus room. Fr. load 3 car tandem garage. Facing 250 acre Graham Oaks Nature Park. Enjoy an easy walk to the seasonal Farmers Market & community events. 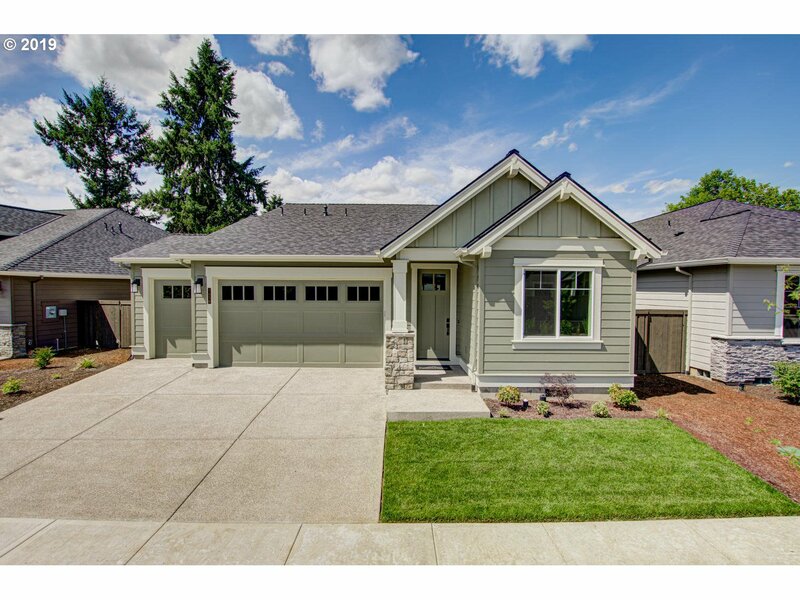 This master plan home offers pool, gym, high-speed internet, comm.ctr, 160+ acres of parks/trails to complete a lifestyle that is unsurpassed in metro PDX." "Exceptional Custom Manor Home in Villebois. This one of a kind home has many upgrades, improvements and storage. Located on a beautiful corner lot with natural light coming in from all directions. Includes a professionally landscaped backyard and new covered outdoor living area. Attention to detail everywhere you turn. Stroll over to Graham Oaks Nature Park right out the front door. Come see this home and you will agree it is amazing!" "Tucked into the trees of Graham Oaks Nature Park, this neighborhood is quiet but still part of vibrant Villebois. A short distance to trails, the farmers market & local wine bar. Soaring 10 ft ceilings & walls of windows make this home feel light & bright. $60k+ in upgrades inc AC, new int paint, gas firepit, deck & fully landscaped backyard. Custom woodwork throughout. Welcome home to Villebois' premier community, Grande Pointe." "*OPEN SAT., 4/20 from 11-1* Beautiful Villebois home with spacious Great Room floor plan has high ceilings, gorgeous hrdwd flrs & upgraded millwork. Entertainers kitchen w/slab granite, huge island, ss appls & soft-close cabinetry. Vlt'd master ste w/dual w-in closets & tiled bthrm. Large bdrms (2 w/w-in closets). Main lvl den & bonus rm upstairs. Fenced bkyrd w/cvr'd & uncvr'd patios & shed.Gas frnc & dual wtr htrs.A/C & Ring doorbell." 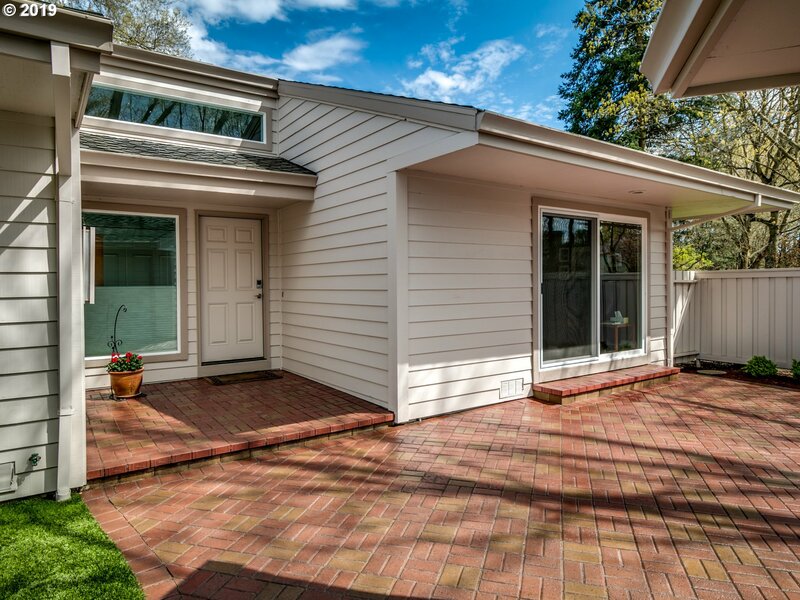 "A rare find in Charbonneau, located near the Willamette River in the desirable Edgewater community. Move in ready, classic Mediterranean style, custom single level, 3100+ sq ft home with 3+ bedrooms, 3 full baths, 10 ft ceilings, innovative layout with large central courtyard with portico, updated kitchen, dining area, master wing with office and media room, and tranquil landscaping. Easy access to pool, club house, golf and amenities." "**Open House Fri 3-6pm & Sat 11-2pm** Beautifully designed traditional home w/modern farmhouse finishes throughout! 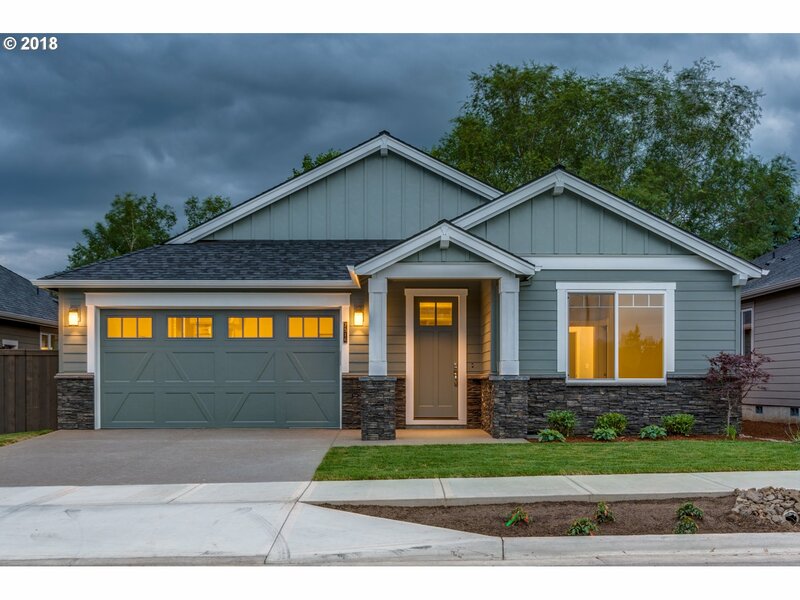 Home opens to den w/barn doors & wide plank wood floors that continue through main level. Open concept great room leads to gourmet kitchen w/lg island, walk-in pantry, & cooktop w/glass hood. Upstairs includes open loft w/built in desk & laundry. Master suite incl soaking tub, dual sinks, & walk-in closet w/built ins." "Custom finished Master on the Main floor plan in the Community of Renaissance at Canyon Creek. Large loft for exercise or study area and 2 bedrooms on the second floor. Office and laundry on the main. Light, bright open floor plan with large kitchen/dining area and great room. Street of Dreams award winning builder with 10' ceilings on main & 9' up. Community pool and over 60K in upgrades!" "Street of dreams award winning builder, presents The Pineridge. One level living w/ large vaulted open great-rm & kitchen w/ island, walk-in pantry, dining nook, hardwood floors & quartz counters thru-out. Double coffered master suite & walk-in closet, shower & soak tub. Guest suite with att. full bath and den/3rd bedroom. Vaulted covered patio & 2 car garage w/ golf cart space! Photos and tour of similar plan. Model open Thur-M 12-5pm." "Street of dreams award winning builder, presents the Chase plan at Charbonneau! TRUE One level living! Vaulted great room, open dining & vaulted kitchen w/ island, walk-in pantry, s/s gas appliances, hardwood floors & quartz counters thru-out. Coffered master suite with large walk-in closet, walk in tile shower & 2 add'l bedrooms. Covered patio & 3 car garage. Photos of similar plan. Model Home open 12-5 Th-M."
"Street of dreams award winning builder, presents the Watson plan at Charbonneau! TRUE One level living! Tall ceilings w/ coffers, open dining & kitchen w/ island, corner pantry, s/s gas appliances, hardwood floors & quartz counters thru-out. Coffered master suite w/ walk-in closet, walk in tile shower with 2 add'l bedrooms. Covered patio & 2 car garage w/ tandem golf cart bay. Photos and tour of similar home. Model open Thur-M 12-5pm." "Street of dreams award winning builder, presents the Robin plan at Charbonneau! TRUE One level living! Tall ceilings w/ coffers, open dining & kitchen w/ island, pantry, s/s gas appliances, hardwood floors & quartz counters thru-out. Coffered master suite w/ walk-in closet, walk in tile shower with 2 additional bedrooms. Covered patio & 2 car garage w/ tandem golf cart bay. Photos of like home! Model open Th-M 12-5pm." "Street of dreams award winning builder, presents the Watson plan at Charbonneau! TRUE One level living! Tall ceilings w/ coffers, open dining & kitchen w/ island, corner pantry, s/s gas appliances, hardwood floors & quartz counters thru-out. Coffered master suite w/ walk-in closet, walk in tile shower. Covered patio overlooking the golf course & 2 car garage w/ tandem golf cart bay. Model open Thur-M 12-5pm. Photos of like home!" "Street of dreams award winning builder, presents the Wesley plan at Charbonneau! TRUE One level living! Vaulted great room, open dining & kitchen w/ island, s/s gas appliances, hardwood floors & quartz counters thru-out. Coffered master suite w/ walk-in closet, walk in tile shower & private patio. Additional guest suite and 3rd bedroom. Covered patio & 3 car garage. Photos of like home! Model open Th-M 12-4pm." "Beautifully remodeled, 3 bed, 2 bath. Custom cherry cabs, quartz ctrs, gas cooktop, convection oven w/warming oven. Updated bathrooms. Great room w/gas fireplace and golf course view. Formal dining. Master suite w/roll-in shower & dual sinks. Newer roof, flooring + windows. Panoramic golf course view, corner lot. 2 car garage + golf cart space. Cart included in sale. All appl included. Brick patio, water feature in courtyard. Generator." "Arbor built move-in ready home in Villebois with hard to find large backyard and front loading garage. 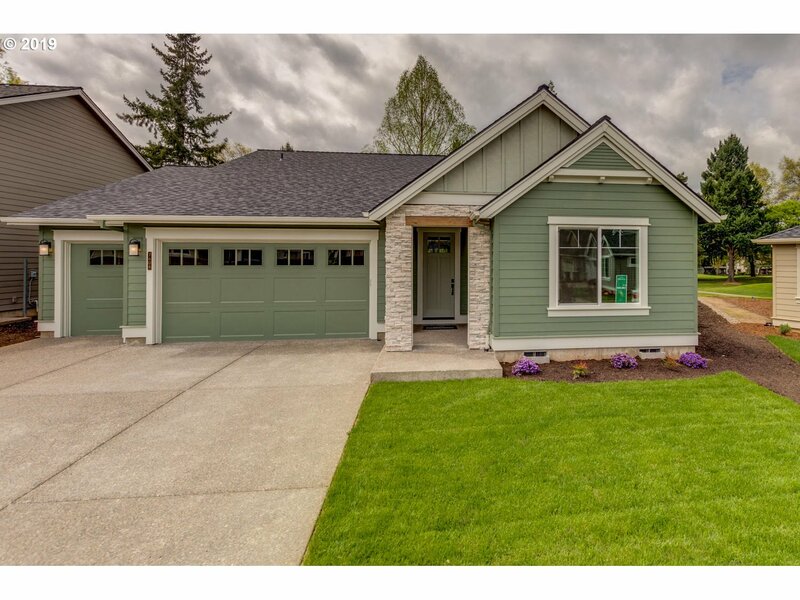 Craftsman style plan fully upgraded with wainscot panel in entry & Den, hardwood floors, beech cabinets, gourmet kitchen, granite slab, Whirlpool gas SS appliances. 4th BDR/Bonus plus den. Deco paint, open rail, tile counters & floors @ baths; fireplace w/built-ins @ great room. Profes"